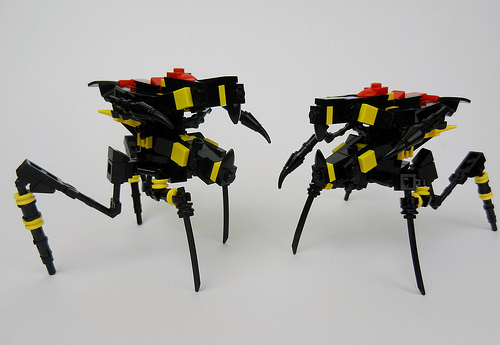 Starship Troopers seems to be a movie that divides people (I like it*), but hopefully negative opinions about the film won’t detract from Tim Goddard’s (Rogue Bantha) excellent LEGO rendition of the “bugs”. And if you really hate the movie, take heart from Ian Heath’s “Woah, did Blacktron just take it up a notch?!”. * And yes, I do know it was a book first.